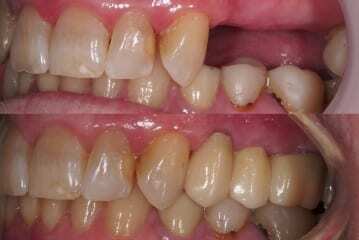 Missing a front tooth almost always make people feel extremely self conscious. 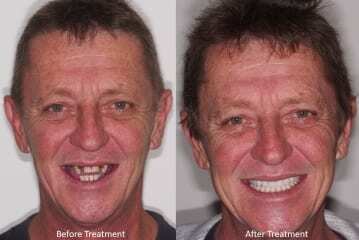 Dental implants can often create an extremely natural looking replacement for the missing tooth. 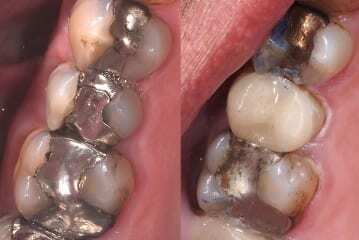 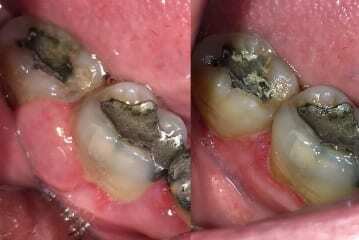 In some situations, all the remaining teeth are in a terminal condition and cannot be replaced. 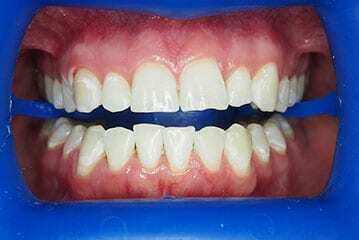 Standard complete dentures are often very unstable and can severely affect the ability to eat and speak, and decrease the quality of life. 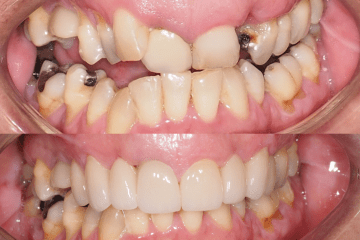 Improving a smile sometimes involves changing the gums as well as the teeth. 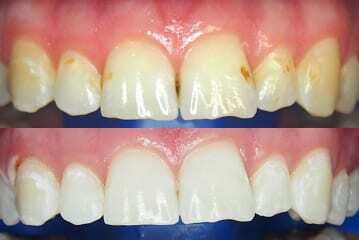 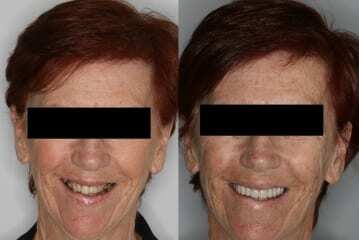 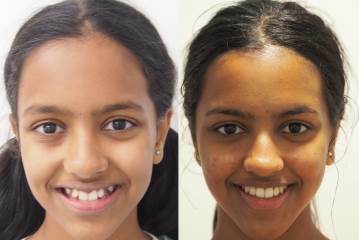 In this case, it was identified that the gums were causing the appearance of short teeth in the front. 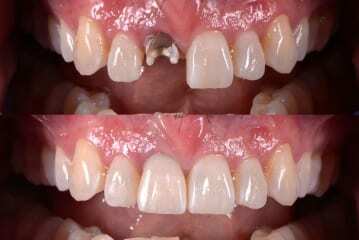 There is a belief that heavily broken and discoloured teeth cannot be made to look good again, let alone being indistinguishable from the natural, unbroken and normal coloured teeth. 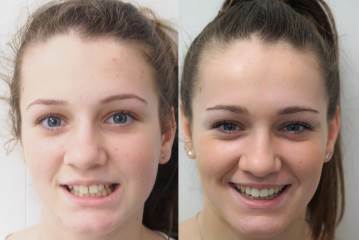 There is a misconception that wisdom teeth always need to be removed. 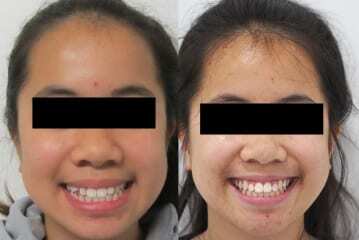 The reality is that, this is not always the case, even if the wisdom teeth are causing swelling and pain.